This was our view of the sidewalk on Black Friday at 730A. It was nice to have only two non-chasing, praying antis out for most of the morning instead of the 10-15 we normally see on a Friday. Close to 8a, only three more chasing antis joined them. Of course, that was after most of the clients and companions had entered the clinic. Sales too good to pass up? 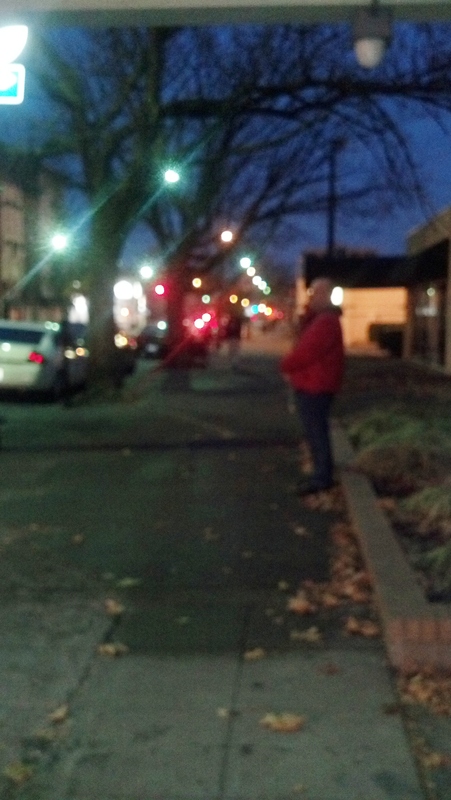 This entry was posted in abortion, Anti-Choice protesters, Escorting, Louiville Ky, pro-access, sidewalk snippet and tagged abortion, Access, anti-abortion, clinic, EMW, Escorting, pro-access by Servalbear. Bookmark the permalink. I’m not surprised since antichoiceism isn’t about babies. Its more like a good sale is just as good of an emotional high as yelling self-righteous crap at women. LOL!